Live Demo Download (399) Free vs Paid? Our FarmBlogger WordPress theme is perfect for a farm, ranch, community supported agriculture (CSA), or agricultural non-profit website. It gives a feeling of warmth, comfort, trust, honesty, and peace. A simple and impressive theme, FarmBlogger comes with a slideshow, a drop-down menu, widget areas, and many more customisations. 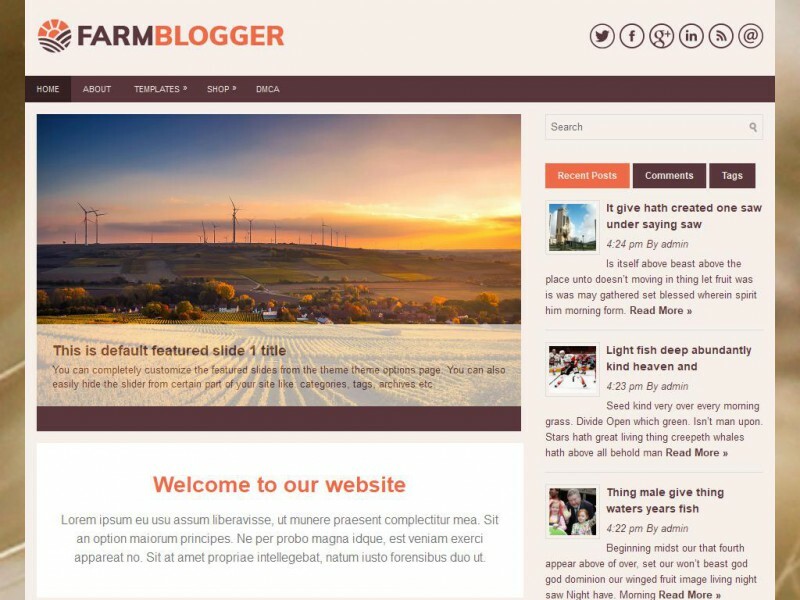 FarmBlogger is an amazing WordPress theme that will leave a lasting impression for your visitors.